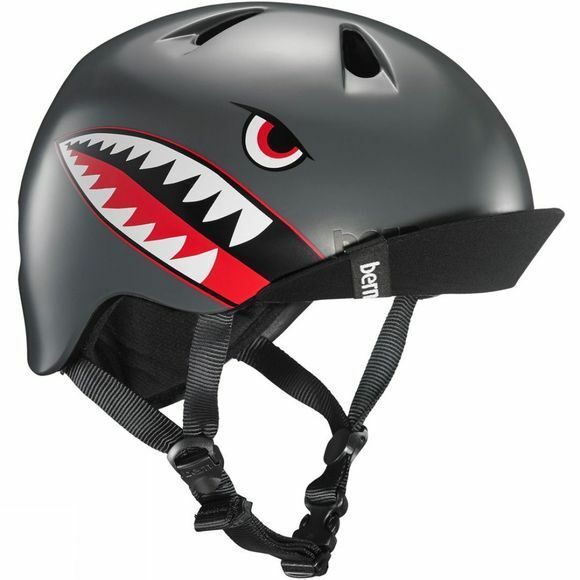 Bern's coolest helmet, designed for the smallest heads! The Niño features the same signature Bern look as their best-selling Brentwood, scaled down to securely fit children ages 5 - 8. Kids love the cool graphics and colors, the soft flip visor, and the ultra-lightweight. Parents love the premium construction, secure fit, and all-season versatility. Built using our proprietary Zipmold + construction and featuring a simple-but-secure velcro fit system. The Asteroid and Meteoroid lights fit all new and older Bern helmets with a two-hole mount located in the rear of the shell. EZ-FitClassic pull strap hook-and-loop fastener.